Extremes: Where Do You Stand? The Extremes Game: Where Do You Stand? 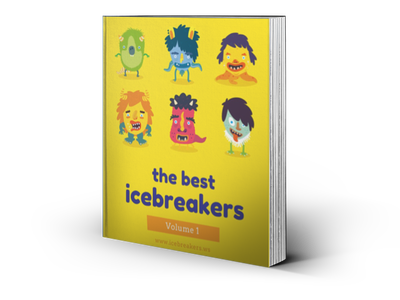 is a useful classroom icebreaker that helps people get to know each other’s opinions and stances a bit better. It can be played with medium to extra large sized groups and is a good way to get everyone moving around a little bit. The game can vary in time depending on how many questions you use; in general allow for 5-15 minutes as a good range. Setup for Extremes Game: Where Do You Stand? In the front of the room, create an imaginary line. All the way on the left side is one extreme, and all the way on the right side is the other extreme. Make sure there is enough space for people to stand anywhere along this imaginary line. To play this game, you will ask everyone several questions. Everyone will then respond by standing somewhere along the imaginary line according to how strong of an opinion they have on that item. For example, if you ask people “coffee? or tea?” people will stand far along the left hand side if they strongly prefer coffee, and they will stand on the far end of the right hand side if they strongly prefer tea. If they are neutral, they will stand in the middle. Hawaii or New York City? Many of these questions can be very funny. You can also ask many deep questions as well — use your imagination and have fun! If you don’t want to come up with your own questions, a good board game version with many questions provided is: Would You Rather? Boardgame – Classic Version , now available from Amazon. Enjoy and have fun!